There are several legends about the birth of the Milanese panettone. The most common dates back to the 1476. It tells of Ugo, a young falconer who worked for Ludovico il Moro, the Duke of Milan. The boy was secretly in love with Adalgisa, daughter of Toni, the most popular baker in Milan. To spend more time with her, Ugo managed to become a pastry cook apprentice. Christmas was coming, and Ugo wanted to give a twist to the usual bread. He sweetened up the dough, adding sugar, butter, eggs, raisins and chopped candied fruits, then he cooked and shaped it like a giant muffin. The novelty instantly became the talk of the town. Everybody wanted the new Toni’s bread (pan de Toni) soon named panettone. After centuries, the panettone is still the delicious centerpiece at many festive tables, although many chefs are coming up with year-round recipes. Milan celebrates the cake with two important events. Re Panettone (King Panettone), a unique contest featuring 40 Italian artisanal pastry cooks competing for the King Panettone Award, and the Feast of San Biagio (the traditional belief is that eating leftover panettone for breakfast on this day will safeguard against any throat illness). I am a seventh-generation Milanese and an insatiable panettone lover, eager to find the best. Recently I was in Vicenza and had the opportunity to talk with the family behind Loison, long considered among the best panettone makers. I drove to the little town of Costabissara, where Tranquillo Loison opened a small bread shop in 1938. The end of World War II and the improvement of the economy led to an increase in the demand for sweeter and tastier products. That is when Tranquillo began producing focacce with figs and raisins. One of his sons, Alessandro, soon expanded the range of products, specializing in panettone and pandoro cakes. In 1992, Alessandro’s son Dario took over the company, remaining true to its artisan roots and focusing on tradition, innovation, substance and creativity. Today, their products are exported to over 30 countries. I met with Dario in the Costabissara store. Who better to ask the secret of making a great panettone? It is a long process, Dario said. The soft, airy cake needs to be baked in a wood-burning oven for 72 hours. During that time, no additives or substances that might alter the flavors should be used. In the store, I found some unexpected combinations, like saffron with licorice, ginger with apricot, and pear with cinnamon and cloves. Finally, I tried the new Chamomile Panettone, with chamomile fragrance and sultana raisins, a unique and mild flavor that lingered long after the first bite and reminded me of honey and pollen. 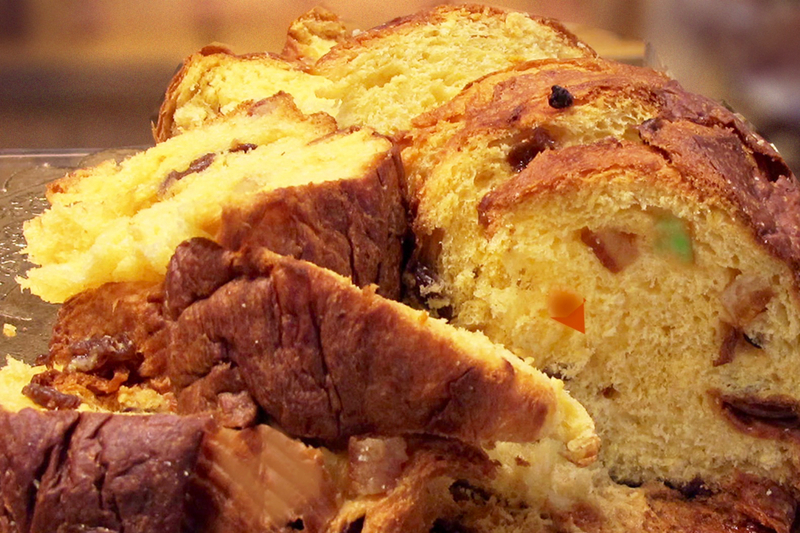 Panettone was originally created as a cake for the holiday season. 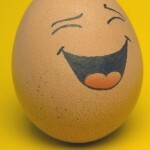 However, many chefs have come up with daring yet wonderful recipes to be used year-round. Chef Mattia Barbieri (Enoteca Centrale in Mestrino, Padua) dusts the traditional saffron risotto with an unusual licorice panettone powder, then tops it with a deep-fried crunchy goat cheese ball whose soft interior will ooze out on the risotto once the ball is cracked open. Chef Fabrizio Ferrari has created a panettone breaded monkfish. The recipe is quite simple: Sauté courgettes and monkfish fillet. Once browned, bake for 10 minutes. Toast a few slices of panettone, make fine bread crumbs, dip the still-hot fish, cut into even cubes and serve on a bed of courgettes. 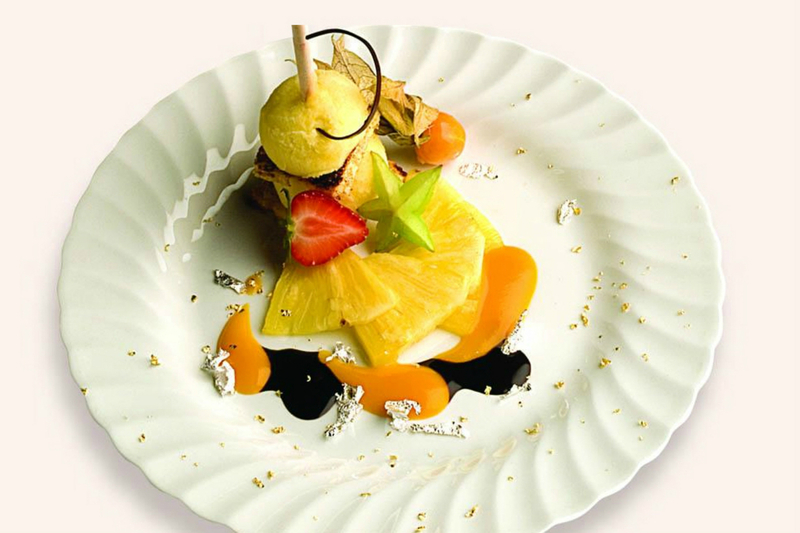 And chef Antonio Marangi (Le Cirque, New York; Giannino, Milan; and executive chef of AFM Banqueting) places a scoop of pineapple sherbet over Mandarin Panettone, which he then garnishes with fruit, mango coulis and chocolate dip. He tops it with chocolate shaving and dusts it with gold flakes. What about Dario Loison himself? “I would pair toasted slices of panettone with a salmon tartare with baked black salt from Hawaii, or I would dust it crumbled over grilled squid,” he said. Christmas recipes are awesome. I prefer to have a nice stack of cookbooks to look through when I decide to make cookies.